To a particular strain of nerd, it feels like only yesterday that we were bemoaning the loss of Joss Whedon’s Firefly, probably because it was yesterday. Much like the loss of the Unification War for the browncoats, some people will never get over it. The actors, on the other hand, got over it just fine—for the most part. Nathan Fillion now has enough money to buy a small island, Morena Baccarin has been a regular on Homeland and Gotham—to name but a few of her gigs—and Adam Baldwin is living on some distant planet where straight white men are a brutally oppressed people. And dear sweet ship mechanic Kaylee, a.k.a. 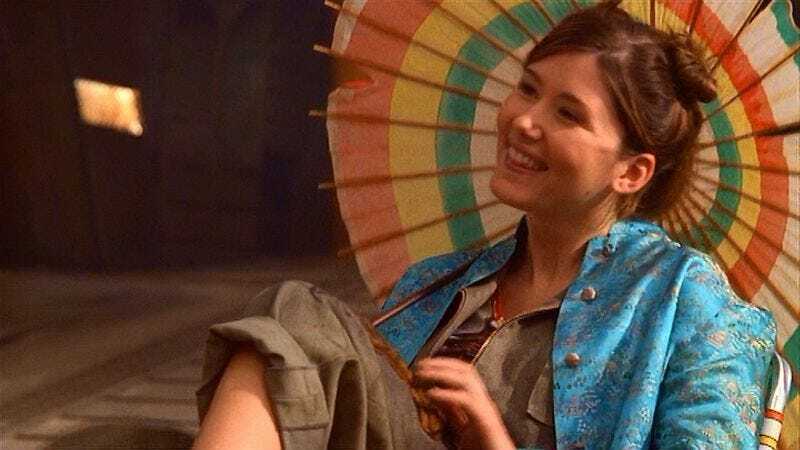 Jewel Staite, now has a new gig to follow up her previous roles on Stargate: Atlantis and The Killing. TV Line reports Staite is set to have a guest-starring role on DC’s Legends Of Tomorrow, appearing in the season’s 10th episode. Staite will play the part of Rachel Turner, “a tech genius/roboticist who exists in a future in which technology has an even firmer grip on our lives than it does today.” This not-at-all-predictable future state of affairs will be a place where Turner creates a form of tech that might fall into the hands of series villain Vandal Savage, unless the superheroes can stop it from happening. (That prior sentence will now be available for usage in every future episode description of DC’s Legends Of Tomorrow, give or take swapping in different names and “past” in place of “future.”) Also, Turner is supposedly related to someone from the current Arrow-verse, though hopefully not Quentin Lance, because that guy is a total dud.